Finding the right basketball shoe requires knowing your feet and what features are going to be the most important to you. Comfort should be your first concern. As soon as you put on the shoes, they should feel comfortable with no pinching or rubbing. Your heel should stay in place when running or walking. Any slipping of the heel and you’re likely to get blisters on your feet. If you have flat feet or high arches, keep that in mind the kind of cushioning and arch supports when searching for shoes. Support and stability are two other important features to look for, particularly if you are prone to rolled ankles or other foot injuries. High tops that fit comfortably over your ankle bones will provide the best ankle support and prevent injury. 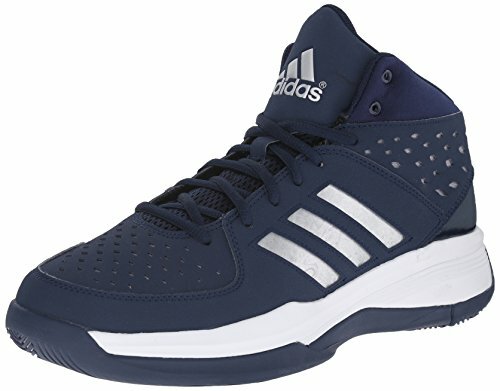 With that in mind, here are the top ten picks for men’s basketball shoes. 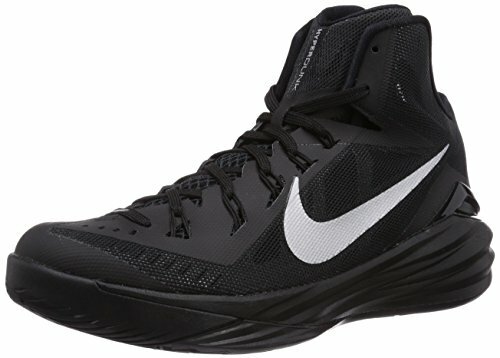 The Hyperdunk has a synthetic and mesh upper that allows for good breathability. It comes in 40 colors, providing a wide range of choices to match team uniforms or for individual expression. A lunarlon midsole cushioning system helps to distribute energy and pressure across the entirety of the foot, making the shoe springy and lightweight. It also includes Nike’s flywire system that is a support system that adapts to the movement of the foot depending on the activity. This shoe model provides excellent ankle support for those battling ankle injuries. The tongue of the shoes molds to the shape of the foot which allows it to adapt to the wearer and provide better comfort. The Amplify has excellent cushioning with stunning looks and design. It comes in six color combinations to give you some ability to match uniforms or personal style. The Adiprene footbed helps to spread the impact of regular play across the sole of the foot. It also helps absorb shock, which in turn prevents feet and legs from becoming fatigued. An EVA sock liner molds to the foot to providing cushioning and a good fit. They run true to size making it easy to order online. With a unique look, the Amplify uses mesh to subdue the usual Adidas three stripe logo. This shoe works best for a narrow foot. The Isolation looks like a classic basketball shoe and comes in five colors. 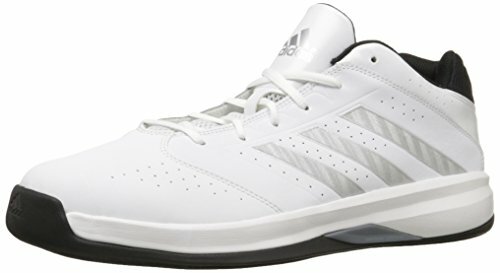 As a low profile shoe, it is most well suited to athletes that are not at risk of ankle injuries. 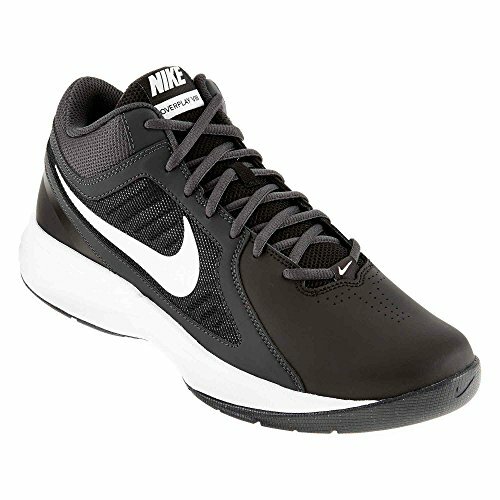 With a tough leather and synthetic upper, this shoe proves to be durable enough for tough play. 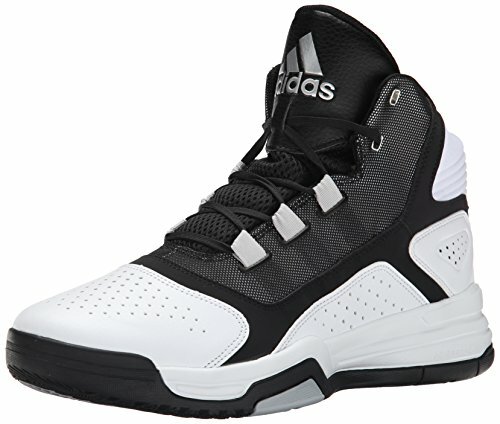 It includes the Adidas torsion system which allows good foot response and movement. In this system, a lightweight bridge between the forefoot and heel supports the midfoot. This allows the foot to adjust naturally to running surfaces, creating a smooth stride. An EVA midsole absorbs the shock of regular play, distributing energy throughout the surface of the foot. Most importantly, it is well padded and comfortable to wear. The Overplay VIII (Overplay) has a tough phylon midsole that can handle the quick, powerful movements of basketball. It moves with the foot to provide flexibility but remains stable and strong for protection. It comes in 17 colors allowing you to match uniforms or find a color combination that fits your own personal style. The leather and synthetic uppers are made of high-quality materials, making them durable and strong. A traditional lacing system provides good adjustability over the foot. With a narrow foot bed, the Overplay tends to run ½ a size small. The Prime Hype DF (DF) comes in 30 color combinations providing an excellent range of color choices. 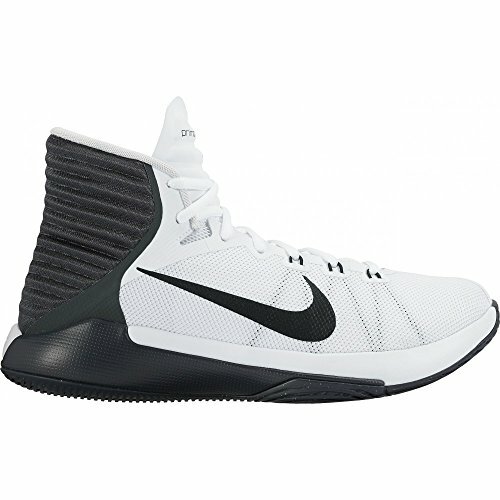 This allows it to match uniforms or be used as a team shoe. The synthetic and mesh upper has breathe tech incorporated into it, letting your feet breath while incorporating an eye-catching design that make it stylish to wear on or off the court. A dual density phylon core has a solid feel while still providing enough cushioning to be comfortable and prevent foot injury. This gives it good stability and flexibility. The traction patterns allow a good grip on the floor that makes response times faster. Cutting to the basket or other quick movements can be done with precision faster. The high tops give stability to the ankles preventing sprains and other injuries. The Court Fury comes in eight colors and has a classic look. The rubber sole gives a solid grip on the floor helping with quick lateral movements during play. The collar of the shoe is textile which makes it more comfortable and prevents rubbing. However, it doesn’t have the same stability as other types of high tops. It has Adiprene across the full length of the shoe. This full-length shock absorption will help prevent your feet and legs from becoming fatigued as quickly and works to protect the foot from injury. This allows you to play at the top of your game longer. They are lightweight to give you the best mobility possible. The Pro Heritage has a high abrasion rubber outsole that provides excellent durability. It is made to stand up to rough, intense basketball. The leather and mesh is breathable but not as much as some models that incorporate more mesh throughout the upper. However, with the amount and quality of the leather, it is more durable that those high mesh models. DMX foam is used for the cushioning and support. While the arch support is average, the foam absorbs energy well so that the foot doesn’t fatigue. They are comfortable to wear but are not recommended if you need extra arch support. 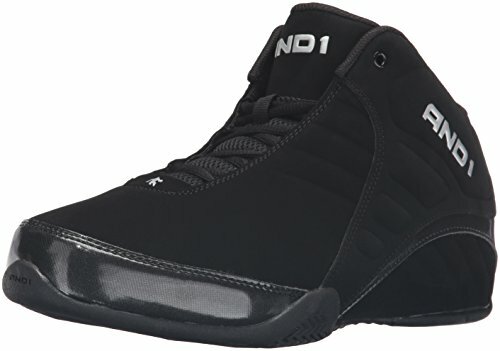 The Rocket comes in five different colors and offers what you would expect from the AND 1 brand. Sporting their unique look, this mid-rise shoe provides adequate ankle support meant for those looking to prevent injury but not the best for someone with easily rolled ankles. The synthetic upper is durable but lacks the breathability of a mesh upper. Cushioning on the tongue makes them comfortable to wear and the lacing system adjusts well to different sized feet. A molded rubber outsole with a herringbone pattern gives you the grip you need to play at the top of your game. Overlasted construction helps the shoe to be responsive and flexible. It moves with you while you play. 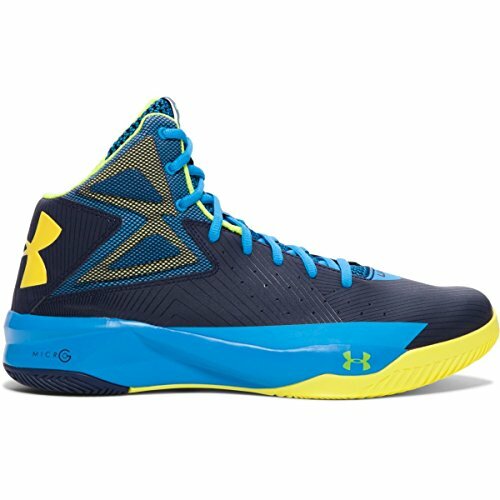 The UA Rocket has a unique look that sets it apart from other shoes. 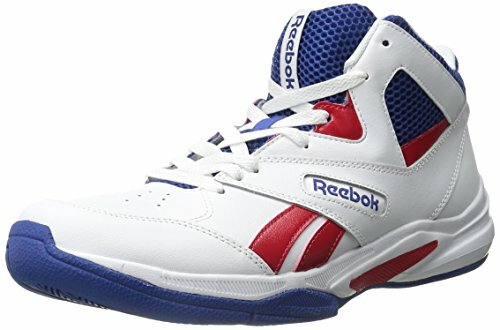 It comes in nine color combinations that work well on the court and on the street. To give structure, a lightweight leather upper with a molded foam ankle support encapsulates your foot. This holds it in place during play to prevent injury. A full length molded Micro G sock liner conforms to the foot and gives the shock absorption needed in an intense basketball game. External Micro G foam makes the UA Rocket lightweight, which means less fatigue for your legs. The herringbone traction pattern has an excellent grip that makes executing basketball moves easier. This shoe is responsive and comfortable, both of which are key to a good shoe. The Cloudfoam is a mid-shoe, which means it doesn’t provide as much ankle support as a high top. However, it still provides excellent comfort and support for the foot. A soft perforated leather upper is durable for rough play. It won’t tear or rip as some of its mesh counterparts. 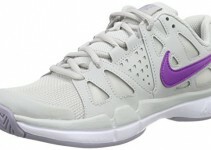 A cloudfoam insole is used for the ultimate in comfort but also provides the stability of a court shoe. Even though this shoe is lightweight, it doesn’t compromise on comfort or durability. They can withstand heavy use without peeling or separating the different sections. 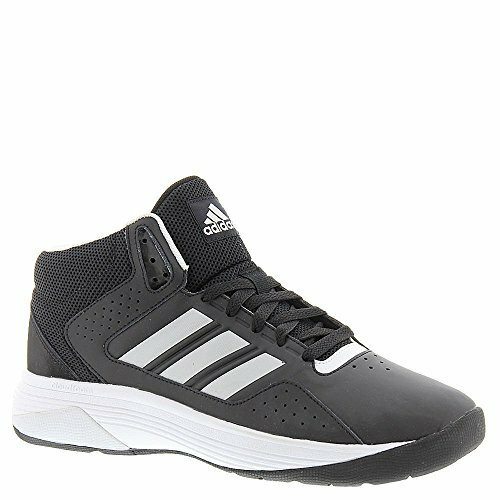 The rubber sole firmly grips the court for added traction and mobility. It comes in four color combinations.